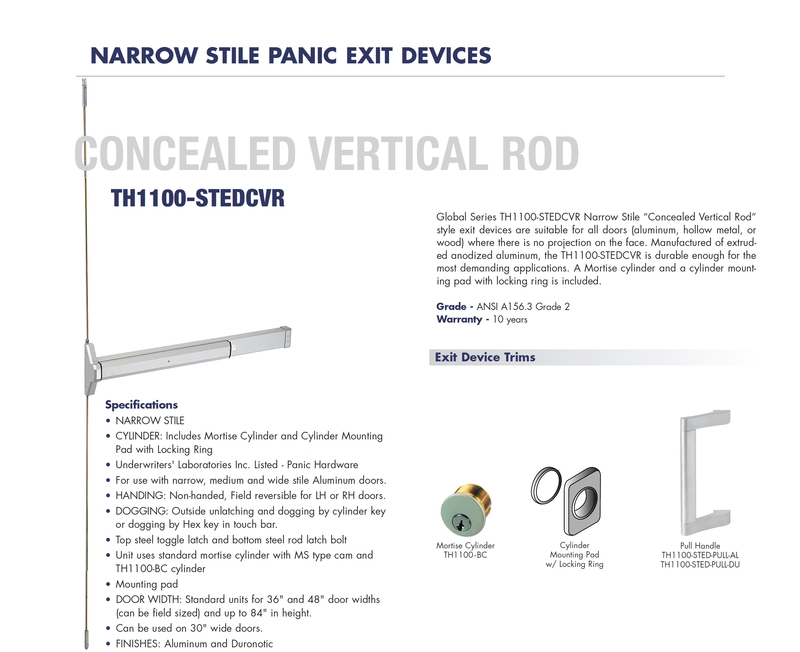 For use with narrow, medium and wide stile Aluminum doors. 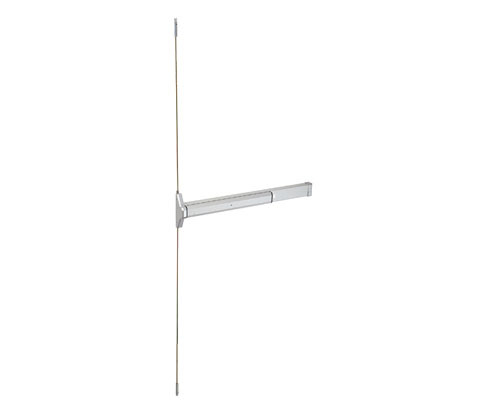 HANDING: Non-handed, Field reversible for LH or RH doors. DOGGING: Outside unlatching and dogging by cylinder key or dogging by Hex key in touch bar. DOOR WIDTH: Standard units for 36 and 48" door widths can be field size and up to 84" in height.